If you haven’t played Respawn’s fantastic wall-jumping, knee-sliding, mech-fighting FPS, now is the perfect time to join in on the fun. 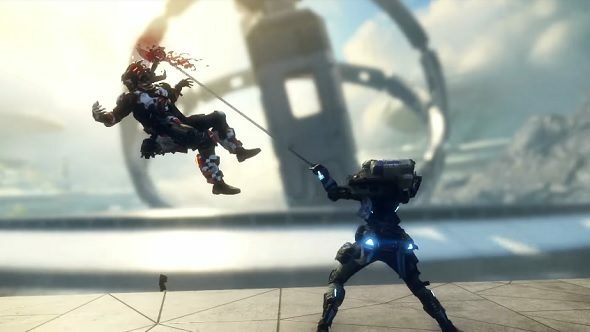 Not only has Titanfall 2 received a new free DLC pack, but players will receive double XP until September 5. Find the mech that’s right for you with our Titanfall 2 class guide. The DLC is called Postcards from the Frontier and it adds a new Live Fire map, three Frontier Defense maps, a new execution, and some new Elite warpaints for certain weapons. Uma is the new Live Fire map, and it sees players fighting in three tightly-packed arenas, connected by even narrower corridors. Players with a knack for wall-jumping should be in high heaven while darting around Uma. The Frontier Defense maps see players returning to Angel City, Drydock, and Exoplanet, with the new execution being linked to the Amped Wall gadget. The execution is creatively named ‘Hole in the Wall’ and sees players whacking their victims in the back of the head with an Amped Wall, then turning them into Swiss cheese with some well placed shots. Finally, the eight Elite Weapon Warpaints come with a special squad leader bonus, which gives players the chance of receiving a double XP token at the end of a match. This chance increases depending on the amount of warpaints a player owns, capping at a 30% chance if you own three of the eight warpaints. Squad leaders that use one of these warpaints will also give their teammates one extra merit at the end of a match. Unlike the rest of the Postcards from the Frontier DLC, these warpaints cost $4.99 a pop. All eight of them are available in a special $24.99 bundle until September 26. If you want a preview of all of these warpaints just head over to Titanfall’s official website. For those who have yet to give Titanfall 2 a try, it is now available as part of the Origin Access Vault. Its playerbase has increased by 50% since its arrival in the Vault, meaning that one of the best shooters of 2016 is finally getting the audience it deserves.